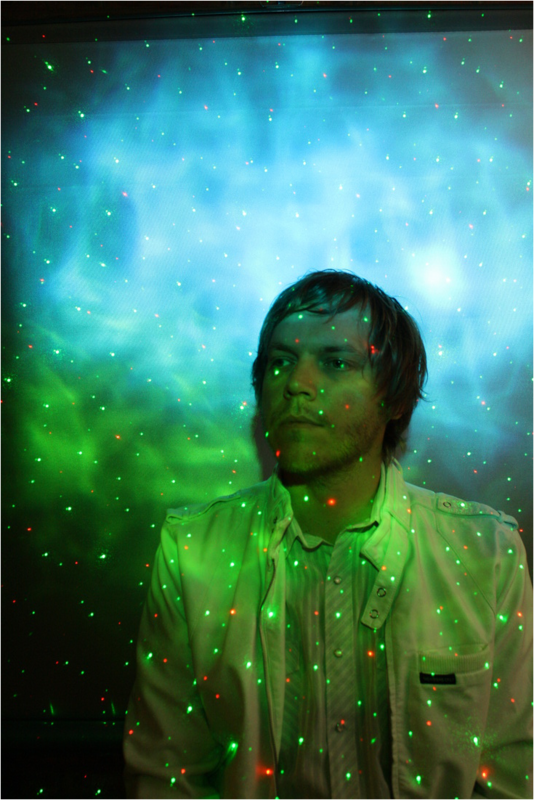 Tonight Sky is the new album, moniker and musical project from Seattle producer and composer Jason Holstrom. Jason, a core member of Seattle standouts Wonderful and U.S.E released his 2007 solo debut album as the island-adventure treasure, The Thieves of Kailua. Tonight Sky was crafted from the ground up in Holstrom's home studio, The Cabana, and features a wide palette of synths, samplers, studio effects and even a homemade synth that he built for the recording. Using software, textures and phrases were sculpted, chopped, rearranged, focused, and finally formed into the 15 atmospheric tracks heard on the record. Inspired by stargazing along the expansive Pacific coastline at his childhood home away from home, Cannon Beach, Tonight Sky is an electronic gem. The album exudes an underlying warmth, molded from mesmerizing layers of melodic loops, richly arranged swells of vocal harmonies, haunting synth leads, environmental field recordings, and percolating beats. The record's pastoral ambient sound is nonetheless based on a pop foundation, with hooks that alternate between drifting patiently back along the waves, and washing to shore, front and center. Album tracks weave together seamlessly, creating an evolving mood. Pulsing synths and wordless harmony vocals in opening piece "Solstice" scan the horizon, before sweeping into the ebullient melodies of "Bonfire." Later, the mantra at the end of shoreline meditation "Deep Blue & Green" melts into "Flight of the Falling Star," a propulsive moment of space-pop featuring a soaring unison synth and vocal refrain. The rhythmic, lyrical urgency to "hit the ground running" at the coda of "Size of Paradize" gives way to the lush yearning of "Floating Lonely," before fading into the finalizing swells of "The Cold & Clear." 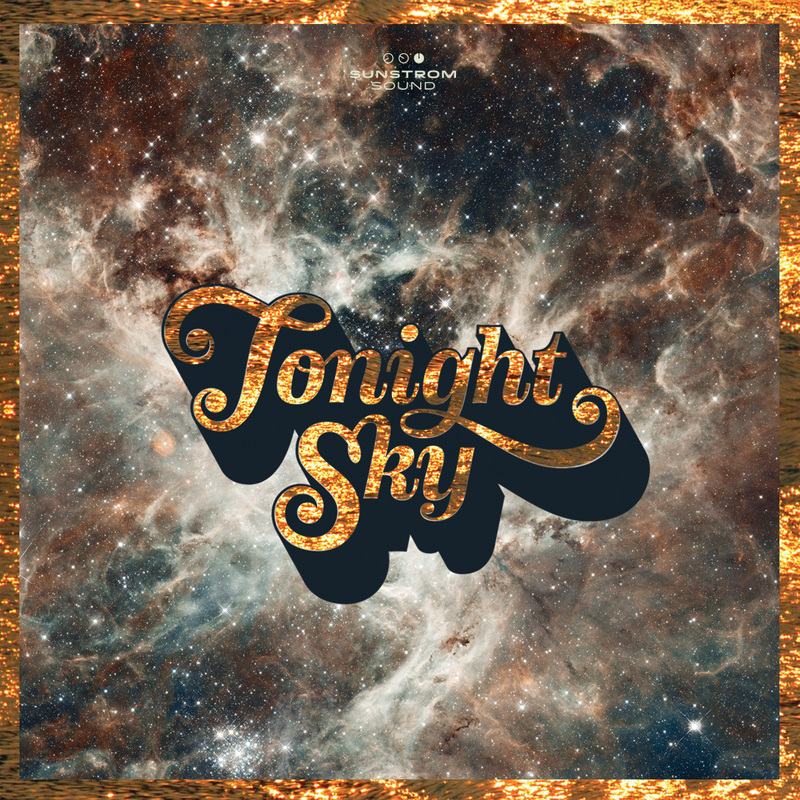 Tonight Sky is an album that ponders the mystery of the infinite cosmos and our place in it, while simultaneously celebrating its sheer wonder. Where Thieves of Kailua was a view of the island shore bathed in sun, Tonight Sky is a view from the beach hours past dark, gazing up and into the infinite, during the sublime moments after the bonfire's waning embers have long since subsided. Produced by Jason Holstrom at the Cabana, Seattle WA. 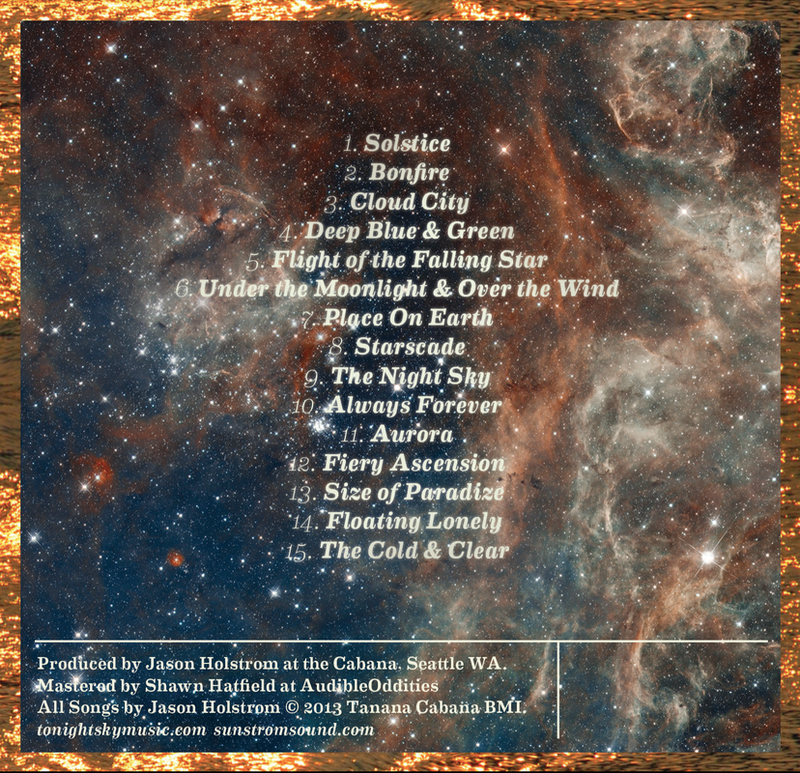 All Songs by Jason Holstrom © 2013 Tanana Cabana BMI.